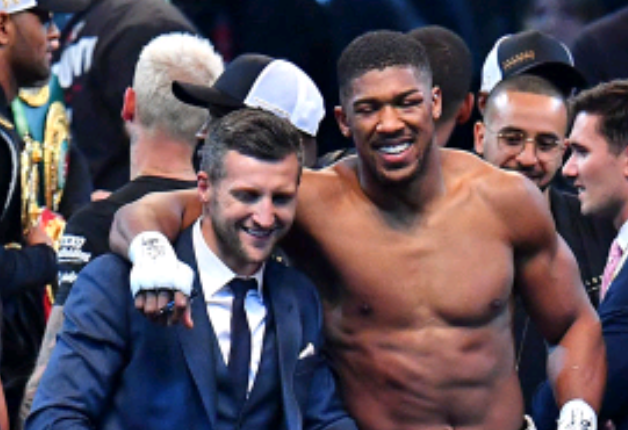 All the talk right now centers around the upcoming unification bout between Anthony Joshua and Joseph Parker but rest assured not too far away from that talk is the thought of what’s next for the winner. Specifically if that winner is Joshua and next is WBC champion Deontay Wilder. While most are happy to see the division coming a step closer to full unification, make no mistake it’s not even close to the Joshua/Wilder unification everyone wants to see. While the good folks with both teams would like to tell us that fight is next, the reality is that they simply don’t know either yet. Although Joshua’s promoter Eddie Hearn seems to think that he currently has the WBC champ “cornered” into a fight. He believes that with him promoting both Joshua and Wilder’s new mandatory Dillian Whyte that Wilder will feel more pressure to fight Joshua. Hearn believes Wilder would choose to fight Joshua first instead of risking a fight with Whyte for less money. If Whyte has to wait, he could get a lucrative rematch with Joshua, if the Briton were to beat both Joseph Parker and Deontay Wilder in 2018 and become undisputed. While I can’t speak for all of our global readers, I do believe I can safely say on behalf of the American fan base that we don’t care to see any heavyweight title involving the name Dillian Whyte at least until after we have seen Joshua vs Wilder.